The de Havilland DHC-7 is a four engine turboprop STOL airliner ideal for operating out of short runways. This airplane picture captures one of the military versions used by the US Army Airborne Reconnaissance Low (ARL-M) program called the RC-7B Crazy Hawk. It is also known as the EO-5C or RO-5C. de Havilland Canada is no longer typically named as the builder; Bombardier is the entity. 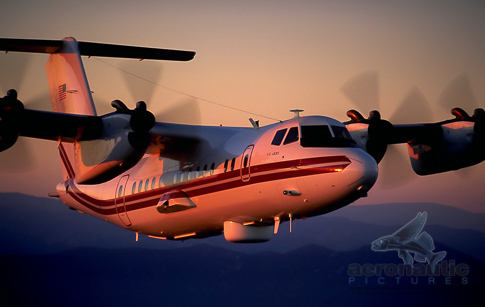 Download this high definition digital example of our de Havilland Dash-7 Stock Photos today. Another from our airplane stock photos category designed to be images for website and more – download stock photos as soon as your order is placed!